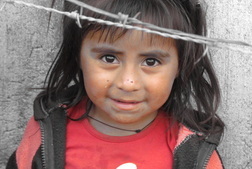 Mission Trips: Mary-Lou has travelled to Guatemala twice to join in the work of Wells of Hope, who drills wells and provides food, housing, medical and dental needs to the mountain people of Jalapa. Every spring volunteers are welcomed by the Wells of Hope team to join them at their camp in Guatemala. See www.wellsofhope.com. Farmer's Markets: To raise funds for our projects and to donate to the charities we support, we sells perennials, cut flowers, planters and other home-made products at the Bancroft and Combermere Farmers Markets and Maynooth GarlicFest. Volunteers are always welcome - please contact us if you have time, talents or ideas! Films and Special Events: We try to host at least three films or events per year at the Bancroft Village Playhouse. Volunteers are always needed.